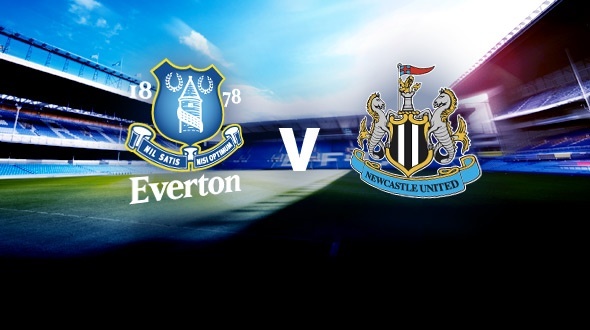 Everton will do battle with Newcastle United on Sunday at Goodison Park in a clash between two of the Premier League's biggest underachievers this season. Both clubs started the season with much optimism which has turned into disappointment. Last time out, Newcastle put up a good fight against Manchester United, only to be undone by a late goal scored by Ashley Young. The Magpies beat Everton 3-2 on December 28th which was the last match Alan Pardew was in charge of the club. Since then, Newcastle have only won twice in ten matches. Roberto Martinez’s club have their own problems. The Toffees have lost consecutive league games to Arsenal and Stoke City. Everton played Dynamo Kyiv on Thursday meaning that they only had two full days rest before their match with Newcastle. It should end up being a tense match between two clubs trying to salvage something from their season. Newcastle received an emotional lift in the last match against Manchester United when Jonas Gutiérrez returned to action for the first time since being cleared of cancer. Jack Colback will return to action after serving a two match suspension. Rémy Cabella (knee) and Massadio Haidara (knee) are both doubtful for the match. Rolando Aarons (hamstring) is reportedly close to returning. While Paul Dummett (knee), Siem de Jong (collapsed lung), Rob Elliot (thigh), and Cheick Tioté (knee) are all expected to be out longer. Steven Taylor (ruptured achilles tendon) is out for the rest of the season. The worse news this week came courtesy of Papiss Cissé, who will be suspended seven matches for spitting in the direction of Jonny Evans last week. It is the striker’s second suspension of the season. The Senegalese international was enjoying an excellent comeback season, leading the club in goals with eleven. Everton’s form has also been affected by the number of injuries to key players this season. Leighton Baines (thigh muscle strain) and Bryan Oviedo (hamstring) are expected to miss Sunday’s match. Gareth Berry will also miss this match due to a yellow card suspension. John Carver has used the 4-4-2 formation in the last two matches against Aston Villa and Manchester United, with relative success. The loss of Cissé means that Ayoze Pérez is likely to be slotted back into the starting line-up. Cabella and Massadio Haidara are likely going to be game time decisions. Roberto Martinez has struggled to find consistency with this Everton squad. The Spanish manager has used the 4-2-3-1 formation in the past. However, in recent matches Everton have lined up in a 4-3-3 formation. Everton are a club struggling with form. The squad is little changed from the one that finished in fifth-place last season, however the results are very different. Tom Howard, Leon Osman, and Steven Pienaar have aged and appear to be in decline. While midfielder Ross Barkley has looked underwhelming all season and has been on the bench in recent matches. Romelu Lukaku leads the club in goals with seven. He hit 15 in 31 matches last season. Steven Naismith is second with six, followed by Belgian winger Kevin Mirallas with five. Newcastle could just be playing Everton at the best possible time. The Toffees are without a win in their last five league matches. They have only one league win in their last 12. The run has them sitting in 14th position, six points above relegation. It was inconceivable at the beginning of the season but another defeat could mean that relegation is a very real possibility. Everton are winless in their last five league matches at Goodison Park. That includes four consecutive draws. However, Newcastle have been very dreadful on the road as of late, with one victory in their last eight matches. But something has to give on Sunday. Head-to-head, Everton has the advantage in the last ten contests. Everton have won five, to Newcastle’s three. Two matches have ended in draws. There is not much to choose between these two sides. However, Newcastle should be the fresher side having had a 10-day break in between matches. Everton played Dynamo Kiev in Liverpool on Thursday, winning 2-1. But Newcastle should have enough to overcome Everton as a result.